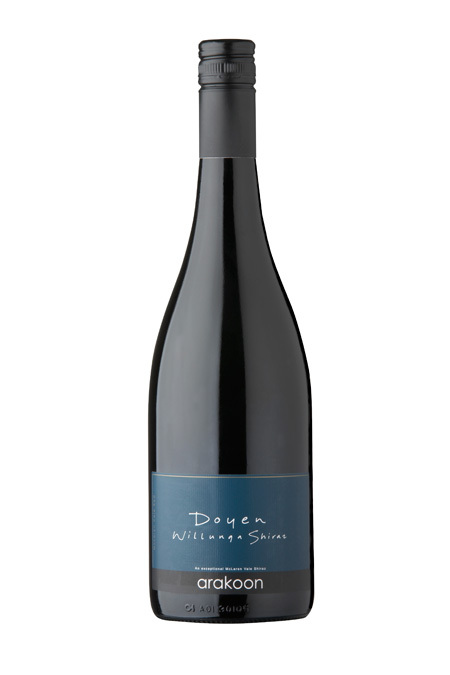 Doyen Willunga Shiraz 2015 awarded 95 points by Wine Showcase Magazine. The rich soils of Willunga show a generosity that seems to elude the more common parcels around the McLaren Vale, and it is for this reason that the minuscule 200 case production of Doyen Shiraz continues to stand out as one of the rare, super-premium wines of the region. The 2015 represents a bit of departure from the enormous offerings of previous vintages that have maximized alcoholic girth in lieu of potential age-ability. This very fine rendition comes back to Earth with a focused 15% of pure drinking pleasure. Soft layers of lifted red fruits surround a concentrated core of choco-cherries and rich plum. The texture of this wine is supple, while the underlying youthful tannins are evidence of a fine structure that will reward many years of patient cellaring. A powerful and compelling wine that James Halliday has recognised as one of best in the region.